Stockholm Sep 12 (IANS) Swedish Prime Minister Stefan LÃ¶fven on Wednesday rejected the possibility of helping the opposition centre-right alliance form a government after elections did not result in any bloc gaining sufficient support to govern alone. 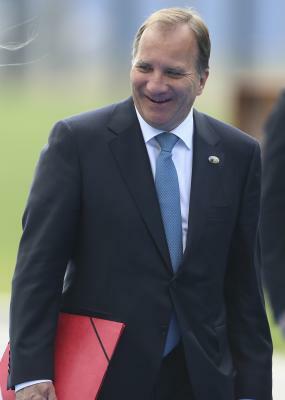 LÃ¶fven ruled out the idea of lending the Social Democrats support to the four-party Alliance during a press conference at the Rosenbad his official residence in response to an offer made by the Alliance shortly beforehand Efe news reported. The Prime Minister said it was "undemocratic" of the Alliance to want to govern independently of whether it had gained enough support and urged calm until the final results were in. LÃ¶fven said while his party made up the biggest bloc it would not be right for anyone else to become the Prime Minister. 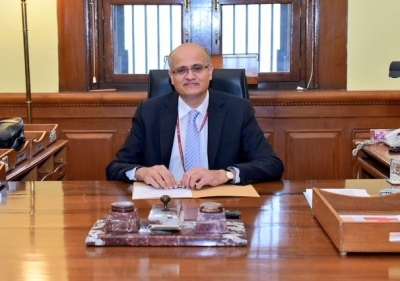 He called for the final result to be known before deciding if he should resign ahead of the new Parliament being formed on September 25. The left a coalition made up of the Left Green and Social Democrat (SD) parties had a two-seat lead on the Alliance while the far-right Sweden Democrats were on 63 according to provisional figures. The left obtained 40.6 per cent of the votes the Alliance 40.3 per cent while SD got 17.6 per cent according to provisional results which could change after overseas and other uncounted votes are tallied. The electoral authority began counting votes from overseas on Wednesday and the definitive results would not be available tilL Friday. Both the left and the Alliance do not want the far-right to have any influence on the Swedish government. LÃ¶fven said the SD could "never" be allowed to decide on the country s future.